Miele Dynamic U1 Cat & Dog Vacuum REVIEW * Worth the Price?? The Miele Dynamic U1 Cat & Dog is designed for the pet owner who demands premium cleaning performance and versatility in a high-end vacuum cleaner format. Recommended for low, medium, and thick pile carpet. Hard smooth floor cleaning capability and above-floor cleaning. 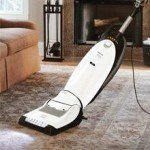 cleaner and home care appliances. Miele vacuums are renowned for their German engineering and are famous for lasting decades while providing excellent cleaning performance. 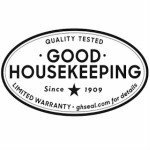 All Miele vacuums are backed by the Good Housekeeping Seal. It is equipped with a dual Vortex Motor System – one provides suction and the second powers the auto-adjusting brushroll or beater bar. The suction on the Miele Dynamic U1 Cat & Dog is above average although tests reveal less than optimum for deep pile carpeting. There is a manual dial speed adjustment that makes it possible customize the suction power for different floor types. The brushroll height adjustment is conveniently located on the upper front and allows you to select Low, Deep, Smooth, or Curtains. 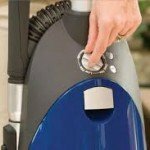 The Smooth setting shuts off the brushroll or beater bar for vacuuming smooth floor surfaces. The removable expansion hose allows you to attend to above-floor cleaning while on Curtains setting. A design feature unique to Miele uprights called the ElectroBrush allows the brushroll to automatically adjust to the contour of the floor giving it noticeably improved cleaning performance. It automatically adjust for carpet types plus the Low/Deep manual setting on the front allows you to custom set for best results. The Miele Dynamic U1 is on the heavy side at 21.4 pounds as a result of the dual motors and higher quality materials. This could be an issue if your home is multi-level or if the operator is physically challenged. Despite the heavier weight the SwivelNeck Steering makes it surprisingly easy to handle even on lush carpet and maneuvering around obstacles. The Miele Miele Dynamic U1 Cat and Dog incorporates a “Sealed Vacuum System” that according to the manufacture eliminates dust leakage around the filter or bag. Testing has shown only minimal leakage of .03 microns which is extremely tiny. 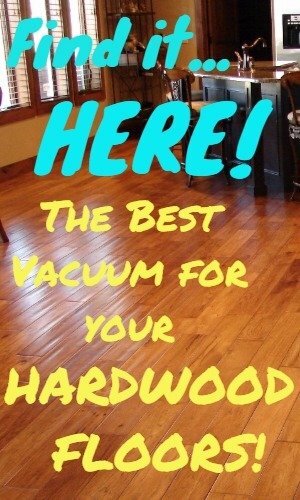 This compares well to other vacuums recommended for allergy suffers. Up to 99.9% of allergy-causing dust and particulates are captured in the activated charcoal filter that absorbs pet odor. Miele proprietary AirClean Filter Bags utilize a unique plastic flap that allows you to seal the bag the moment it is removed. This feature works well to prevent dust from escaping into the air. I have found this to be the most hygienic way to discard dirt from a vacuum without releasing a dust cloud into the room. Miele uprights are equipped with 42 foot cords and 12 foot extension hoses. Total 54 foot cleaning radius minimizes changing receptacles. This is an especially significant benefit in larger homes. The removable 3 foot lightweight Aluminum Telescoping Wand allows a 5′ 4″ person to easily reach and clean a ceiling fan that hangs 9.5 foot from the floor using the included Dusting Brush accessory. One of the advantages of the Miele Dynamic U1 Cat & Dog is it is heavy enough that it won’t tip over when you stretch the expansion hose to it’s limits like some of the lighter budget vacuums typically do. The Dynamic U1 handles all above-the-floor tasks quite effectively including cleaning ceiling fan blades to curtains. The premium quality Tools attach easily and work well. The Miele Dynamic U1 Cat and Dog Upright Vacuum delivered the high end performance you would expect from an appliance of this caliber on low to lush pile carpet. 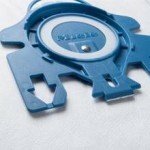 It does an excellent job of removing entangled pet hair. Like any other upright it requires more effort to push on lush pile carpet. The Miele Dynamic U1 is an excellent choice for Berber Carpet. Hardwood and smooth floor performance is very good. The LED Headlights make it easy to see the dirt. Overall the Miele Dynamic U1 Cat & Dog lives up to what I would consider reasonable expectations for a pet hair vacuum in this price range. I recommend the Miele Dynamic U1 Cat & Dog.